The letters were sent to Fadnavis in retaliation to the Gadchiroli encounter where 39 Maoists were killed in April this year. MUMBAI: Maharashtra Chief Minister Devendra Fadnavis received a series of anonymously signed letters threatening him and his family's life. The letters, allegedly sent by Maoist operatives, were received by the Chief Minister’s Office about a week ago and have been handed over to the police for further investigation, a senior Home Department official told The New Indian Express. According to officials, the letters were in retaliation for the encounter in Gadchiroli in April in which 39 Maoists were killed and stated that "killing of a few comrades will not stop the revolution". Of the 39 Maoists killed in that encounter, three were high-ranking commanders and seven were women. Maoist had condemned the encounter and had even given a call for bandh in protest against the encounters. They had also put up banners threatening revenge for the encounter. News about the letters surfaced after the claims of Pune Police that they have intercepted Maoists’ communication regarding an alleged plot to kill Prime Minister Narendra Modi. The police had claimed on Thursday in a Pune court while demanding remand for the Maoist operatives arrested earlier this week that in a few of the communications seized by the operatives, they appear to be plotting to kill Modi. 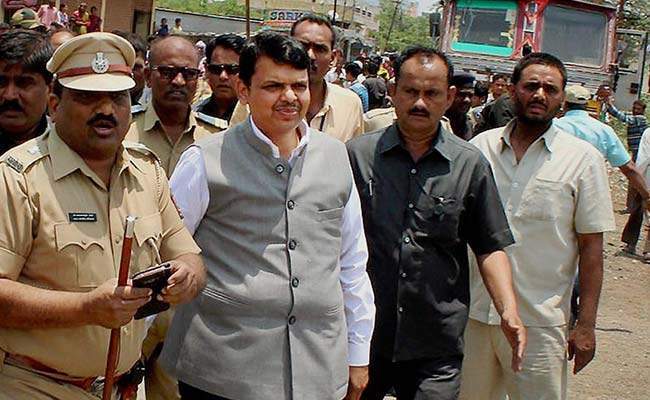 When asked about the letters, Fadnavis said that several facts have surfaced in the letters seized by the police and the same would be presented before the court. "A probe is underway to find more links and it would not be right to say anything more at the moment," the police said. Meanwhile, the police claimed that the letters seized by them from the arrested Maoists earlier this week are expected to lead them to many more links of the Maoist and unearth their network in urban areas of the country.